Highly Rated Ninja Master Prep Professional Only $39.98 + FREE Shipping - Lowest Price! 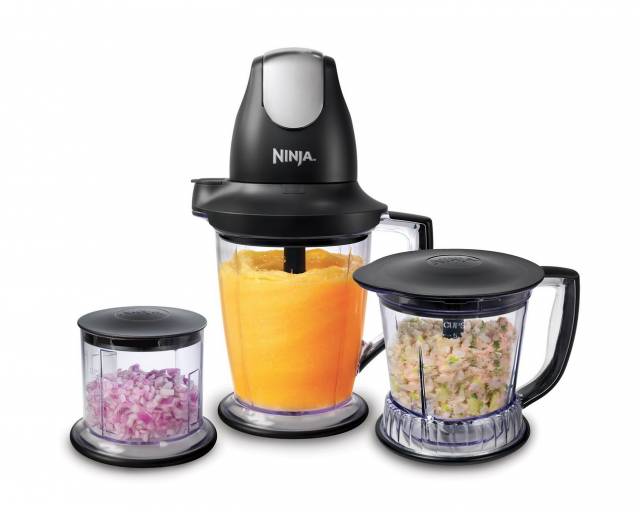 Highly Rated Ninja Master Prep Professional Only $39.98 + FREE Shipping – Lowest Price! Love to make summer smoothies? Hate chopping veggies? Then you’ll want to head over to Amazon where they are offering this Ninja Master Prep Professional (QB1004) at its lowest price of $39.88 (Reg. $69.99) plus FREE shipping. These are very highly rated at 4.5 stars with over 4,700 reviews! Even better, this kitchen tool is perfect for frozen blending, food processing, and chopping…3-in-1! Amazon Prime Now: Save $20 On Your First $50 Order!